Following in the footsteps of Apple, the CMS wants to make it easier for patients to get their health data from providers and to possibly gather all that information in a single place. In a rule announced Tuesday, CMS regulators set out a plan to give the meaningful use program a makeover—or at least a new name, "promoting interoperability." The goal is to boost interoperability between patients and providers, a move that mirrors the government's MyHealthEData initiative to give patients more control over their health information. CMS Administrator Seema Verma announced that program at this year's Healthcare Information and Management Systems Society conference in Las Vegas. "Patients could collect their health information from multiple providers and potentially incorporate all of their health information into a single portal, application, program, or other software," according to the CMS. The push could foster more innovation and garnered some praise from experts for the shift. "It's a good thing to be developing apps and APIs for patients in order for them to be able to consolidate information from multiple patient portals into a single record bank app," said Dr. David Kibbe, CEO of DirectTrust. This is a somewhat new direction for the agency, which has previously focused more on interoperability between providers as part of the meaningful use program. "The emphasis on sharing information among providers and with patients is going in the right direction," said Dr. David Blumenthal, president of the Commonwealth Fund and former national coordinator for health information technology at HHS. "Interoperability is a key requirement for the effective use of data in the modern healthcare system." The new program doesn't do away with all current meaningful use requirements, including that providers use the 2015 edition of certified electronic health record technology in 2019. That's one way the CMS is encouraging interoperability, Kibbe said. But American Hospital Association leaders were disappointed by this provision. 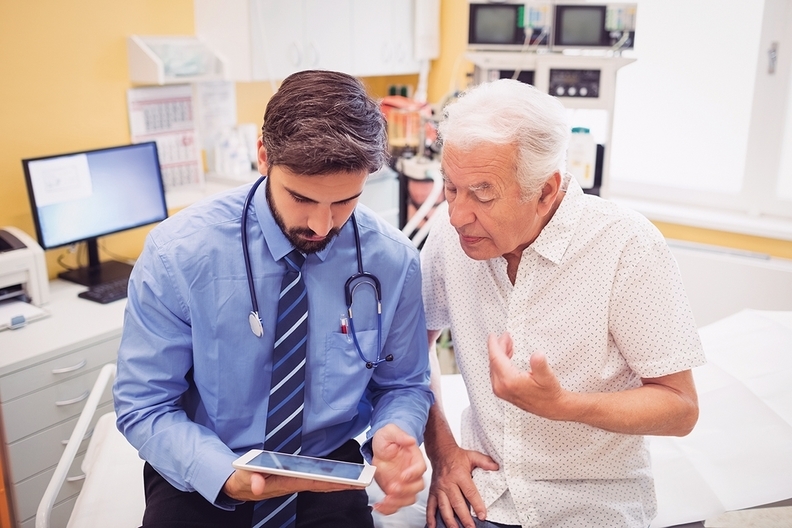 "The AHA is concerned that not all technology vendors yet have 2015-edition certified EHRs," said Chantal Worzala, vice president for health IT and policy operations at the AHA. "Once the vendors have the technology available, vendors must schedule and work with providers to install it, which can take time." The 2015 edition of technology aligns with the provisions of the 21st Century Cures Act that call for using open application programming interfaces in EHRs. "This promotes the idea of patient as an agent of interoperability," said John Kelly, principal business adviser with healthcare technology company Edifecs. It would also ease the burden on providers, regulators said. There aren't many details on how the program will reach those goals, other than scoring interoperability as a quality metric. "My guess would be that the measure will require the exchange of something like a clinical data set," Blumenthal said. "But I am not sure how much of that and what kind of availability will be required and that's an important characteristic of the rule." Regulators asked for public comments on the logistics of achieving this new kind of interoperability, particularly focusing on barriers that could prevent patients from accessing or controlling their medical records. One barrier may be the usability of technology. "If there's been a challenge from a tech perspective, it's that individual patients themselves have not always engaged at high rates with personal health records," said Dr. Jesse James, chief medical officer of management consulting and technology firm Evolent Health. "But I believe that as we make technology that better suits patients as consumers, they work inside of a market and they will engage with tools that are useful and usable."